Management scholars and practitioners recognize that engagement with stakeholders is crucial for a firm to gain the necessary resources and capabilities to innovate, compete and create shared value (Teece and Pisano 1997; Freeman 2005; Kramer and Porter 2006). Furthermore, multi-stakeholder engagements have become a common means in the agri-food sector to address the increasingly presence of “wicked problems” such as sustainability (Batie 2008, Peterson 2009). “Wicked problems” cannot be framed and solved in any traditional way because they have no closed-form definition, deal with complex systems in which cause and effect relationships are either unknown or highly uncertain, and have multiple stakeholders with strongly-held, diverse, and conflicting values related to the problem. 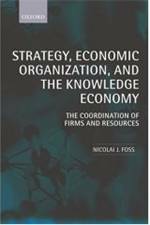 From the point of view of the firm, managing “wicked problems” requires the engagement of multiple stakeholders (De Wit and Meyer 2010, Peterson 2011) such as supply chain partners, universities, government agencies, NGOs and civil society. Managing interactions and undertaking initiatives simultaneously with multiple stakeholders can represent an effective strategy for organizations in the agri-food sector to tackle “wicked problems”, share and co-create the resources and capabilities, and to create shared value. In practice, however, managing multi-stakeholder engagements present numerous challenges. Organizations need adequate initial resources and capabilities to start interacting with multiple stakeholders; the process of sharing and co-creating resources and learning from multiple stakeholders has to be efficient and effective; the expected outcomes of sharing and co-creating resources have to be identified and measured; the risk of possible negative outcomes of multi-stakeholder interactions has to be managed. Alternative governance mechanisms are often used to address these important multi-stakeholder issues. · What is the impact of multi-stakeholder engagements on the sharing and co-creation of resources and capabilities, and value creation? Can value be created for both private firms and their stakeholders in the presence of “wicked problems”? What is the relationship between reaching commonly agreed sustainability objectives and creating value for the firm? · Which resources and capabilities are necessary and/or sufficient to create shared value in the context of “wicked problems” such as sustainability? Which stakeholders can provide them and under which conditions? In turn, what are the initial resources and capabilities needed to effectively engage with multiple stakeholders? Is there a critical mass of stakeholders and/or resources and capabilities that is required to initiate and sustain engagement? How does the process of multiple stakeholders sharing and co-creating resources and capabilities take place? · Are reputation and legitimacy resources co-created or shared in multi-stakeholder engagements? Does the member composition of the multi-stakeholder engagement matter? Which member inclusion/exclusion mechanisms are effective to enhance stakeholders’ reputation and legitimacy? What is the impact of a stakeholder drop-out on the reputation and legitimacy of the multi-stakeholder engagement? What is the relationship between stakeholder heterogeneity or representativeness, on legitimacy and reputation of the multi-stakeholder engagement? · Which organizational structures and governance mechanisms are most effective to allow multiple stakeholders to share and co-create resources and capabilities and create value? In particular, what is the effect of managing a formal multi-stakeholder alliance versus an informal network of multi-stakeholder interactions? · How do multi-stakeholder engagements evolve over time? What are the causes and effects of change and the implications for stakeholders? What are the challenges and implications of downscaling global multi-stakeholder initiatives to a local level? What are the challenges and implications of up-scaling local multi-stakeholder initiatives to an international level? Both empirical and conceptual papers are welcome and we strongly encourage multi-disciplinary submissions from scholars in areas such as management, law and economics, public administration and policy, marketing, organizational behavior, communication, education, development, sociology, and psychology among others. In addition to the track session, submissions will be subject to a double-blind review process and will be considered for publication in a special issue of the International Food and Agribusiness Management Review on managing multi-stakeholder engagements. To insure full consideration for the track session and for the special issue of the IFAMR, please submit/upload your full papers using the IFAMR submission process found at www.ifama.org. You should submit/upload your paper under the folder WICKED no later than January 5th, 2011. Papers should follow the manuscript guidelines posted for IFAMR. Batie, S. (2008). “Wicked Problems and Applied Economics.” American Journal of Agricultural Economics 90 (5), 1176–1191. De Wit, B. and Meyer, R. (20100. Strategy Synthesis: Resolving Strategy Paradoxes to Create Competitive Advantage. 2nd Edition, Cengage Learning. Freeman, R.E., J. S. Harrison, A. C. Wicks, B.L. Parmar, S. de Colle (2010). Stakeholder Theory: The State of the Art. Cambridge University Press. Peterson, C. (2009). “Transformational supply chains and the ‘wicked problem’ of sustainability: aligning knowledge, innovation, entrepreneurship, and leadership.” Journal of Chain and Network Science 9(2): 71-82. Peterson, C. (2011). An Epistemology for Agribusiness: Peers, Methods, and Engagement in the Agri-food-bio System. Forthcoming on the International Food and Agribusiness Management Review. Porter, M.E. and Kramer, M.R. (2006). “Strategy & Society: The Link Between Competitive Advantage and Corporate Social Responsibility.” Harvard Business Review (12/2006), 1-16. Teece, D. and Pisano, G. (1997). 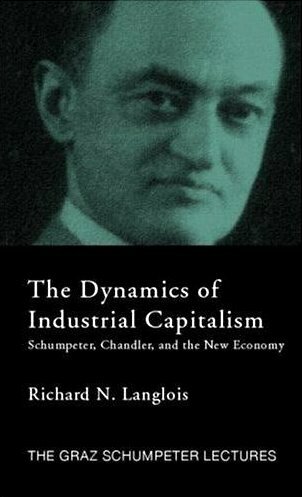 “The Dynamic Capabilities of Firms: an Introduction.” Industrial and Corporate Change 3 (3), 537-556. Deadline for WICANEM Full Paper Submission: January 5th, 2012. Deadline for IFAMR Full Paper Submission: January 5th, 2012. Notification of Acceptance/Revision/Rejection: March 30th, 2012. Deadline to Revise Accepted Papers: June 10th, 2012. Final Notification of Acceptance/Rejection: September 15th, 2012. Entry filed under: - Klein -, Conferences, Food and Agriculture, Management Theory, Public Policy / Political Economy, Strategic Management, Theory of the Firm.